Orion Commodities Management is the liquid investment division of Orion. It employs a sector-specialist strategy with a discretionary investment style expressed through spread and directional positions in base and precious metals. OCM capitalizes on the information flow and infrastructure of its complementary private equity and merchant service divisions, granting it proprietary insight into the underlying fundamental drivers of metals prices. Michael Sheehan joined Orion Commodities Management in August 2015 as Senior Portfolio Manager, managing the precious metals investment portfolio, bringing along 25 years of experience in the markets. Before Orion, he was the Precious Metals Portfolio Manager at Red Kite Capital Management, a metals-focused hedge fund, for nine years. There, he was responsible for the group’s physical and derivative precious metals investments. Prior to Red Kite, Mr. Sheehan worked at Sovereign Bank (formerly BankBoston) and Scotia Mocatta (formerly Mocatta Metals), where he began his career in 1990, gaining extensive knowledge in trading, options management, and finance banking. 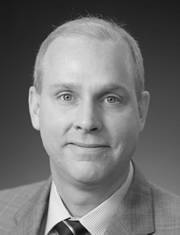 He earned his BS in Finance with a concentration in Economics from Mount St. Mary’s University in 1989. Matthew Heap joined Orion Commodities Management in January 2016, assuming the position of Portfolio Manager for base metals. He left Louis Dreyfus Commodities as the Head of Metals Proprietary Trading, a position responsible for the firm’s base and precious metals derivatives investments. His career experience, all at Dreyfus, encompassed trading in the physical markets for copper and aluminum. Earlier in his career, he progressed from LME coverage to assuming management of the internal brokerage operations for base and precious metals for all listed and OTC markets. Mr. Heap earned his MEng degree from Durham University in 2009. 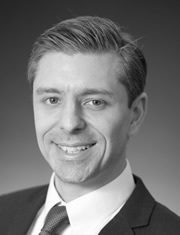 Raphael Bonvillian joined Orion Commodities Management in January 2016 as Portfolio Manager, specializing in base metals research and investment. Previously, Mr. Bonvillian worked for Louis Dreyfus Commodities in Geneva, Switzerland as Global Head of Research for Metals, overseeing a dedicated team of five analysts. He also had responsibility for managing actual research-derived trading strategies, covering OTC, futures, and options linked to the LME, CME, and SHFE exchanges. Earlier assignments at Louis Dreyfus Commodities included positions in both Switzerland and the United States, focusing on the sugar market. Mr. Bonvillian earned his BA from Yale University in 2008 with a double major in History and International Studies. 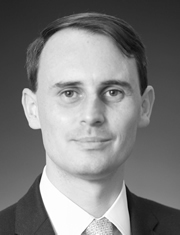 Kevin Conroy joined Orion Commodities Management in May 2015 as a derivatives trader. In January 2018, he was promoted to Assistant Portfolio Manager. His focus is precious metals, charged with identifying investment themes and opportunities for the portfolio. His experience comes from four years on the equity futures and OTC derivatives trading desk at Citigroup Global Markets Inc. Prior to Citigroup, Mr. Conroy spent almost six years on active duty as Captain in the US Air Force. He earned his BS in Business from the United States Air Force Academy in 2005; MS in Finance from Indiana University in 2010; and MBA from New York University’s Stern School of Business in 2012. Mr. Conroy is also the recipient of the President’s Volunteer Service Award for his work with the wounded veteran community. 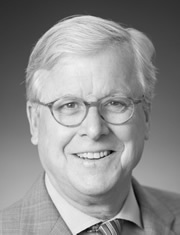 Prior to joining the Orion Group, John Fallon was the President of Pia Capital LP. Prior to Pia, John was Managing Director of Prudential Financial Inc., where he was a 29 year veteran. His last management assignment was in the Global Derivatives Division, where he ran the OTC derivatives business. Primary product oversight included base and precious metals, foreign exchange and equities. Responsibilities included risk management, product development and institutional client relations for its offices in New York, London, Hamburg and Hong Kong. Mr. Fallon earned a BA in History from Colgate University in 1977. 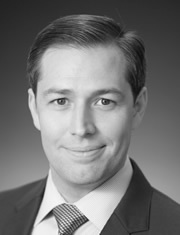 Before joining Orion, Mr. Feeley served as the Director of Finance for the Global Equities division of Citadel LLC. Prior to Citadel, he spent over 13 years as a Controller at Goldman Sachs. He has extensive experience in fund accounting, financial reporting and regulatory reporting for funds. 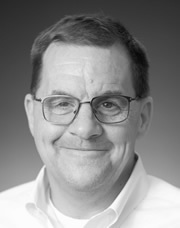 Mr. Feeley began his career in public accounting. He earned his BS in Accounting from Rutgers University and is a licensed CPA in the state of New York. Prior to Orion, Ms. Wolf was Chief Risk Officer for the Red Kite Group’s Mine Finance business. 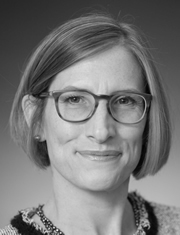 Before joining Red Kite in 2006, Ms. Wolf was a Director in CIBC World Markets’ Market and Credit Risk department managing commodity risk. In that role she oversaw production of risk management metrics such as Value at Risk and stress/scenario testing and also measured and approved credit risk for customer business. She also coordinated expansion of the bank’s commodity market and credit risk management systems. Previously Ms. Wolf was a Risk Manager for RWE Trading GmbH providing market risk management, risk reporting and trading P&L for their pan-European natural gas trading business. Prior to that Ms. Wolf was an analyst at Enron Energy Services; and a Sales Representative at Exxon Chemical Ltd. Ms. Wolf received a BEng (Honors1) in Chemical and Bioprocess Engineering from University of Bath. 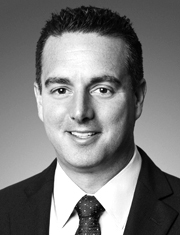 Mr. Gashler joined Orion in August as Chief Compliance Office and Deputy General Counsel and has over 16 years of experience advising investment managers, hedge funds and private equity funds. Before joining Orion, he was a Counsel in the Investment Group at DLA Piper where he focused on formation and regulation of alternative investment funds. Prior to that Rick was the General Counsel and Chief Compliance Officer at Sandell Asset Management Corp., a multi-billion dollar event-driven hedge fund manager and spent a number of years within the Office of the General Counsel at Merrill Lynch Investment Managers. He earned his J.D. from the Catholic University School of Law, his B.A. in Economics from the University of Rochester and is a member of the New York State Bar. 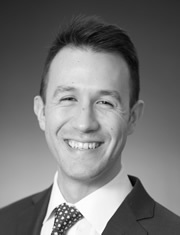 Anthony Porcelli joined Orion Commodities Management in February 2016 as Investor Relations Associate, responsible for the firm’s business development efforts and the statistical analysis of the investment portfolio. Prior to joining Orion, he consulted at Institutional Investor, conducting alternative investment due diligence and manager selection on behalf of smaller pensions, endowments, and foundations. Previously, Mr. Porcelli served as an associate on the alternative investment team at Societe Generale (formerly Newedge), focusing on the commodity, macro, and volatility spaces. He earned his BA from the College of the Holy Cross in 2011 with a double major in Economics and Spanish. Additionally, Mr. Porcelli holds both the CFA and CAIA charters.